The rooms were big and the staff was very friendly. The place was OK and somewhat near Yanbu downtown. The bed was cozy. Nice helpfull staff. Great value. Good location. Clean appartments. Great value for money, Staff are so friendly, The hotel is located in a quiet area without any noise, Free parking is available. One of our best sellers in Yanbu! 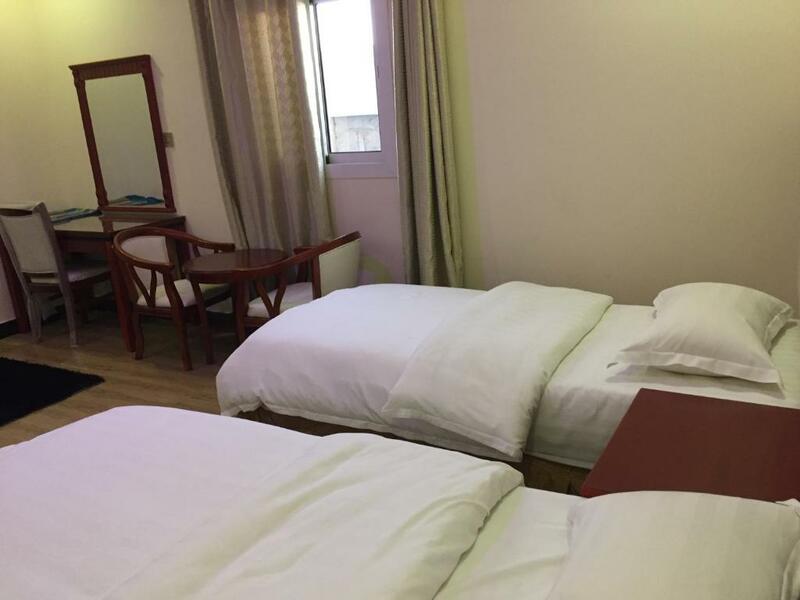 Just 5 minutes’ drive from Yanbu Corniche, Fakher Yanbu Hotel offers fully furnished accommodations with a flat-screen satellite TV. Free private parking are available. 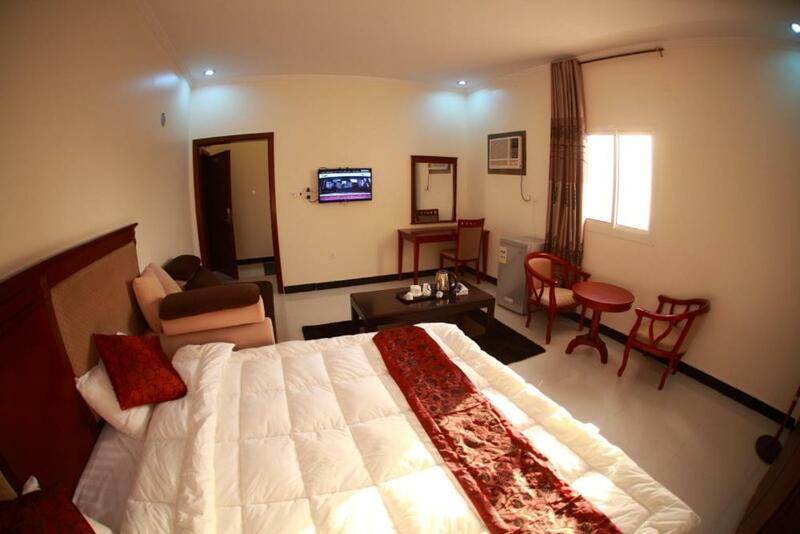 The studios and apartments at Fakher Yanbu Hotel feature air conditioning and a living room. A bath and shower are fitted in the private bathroom. 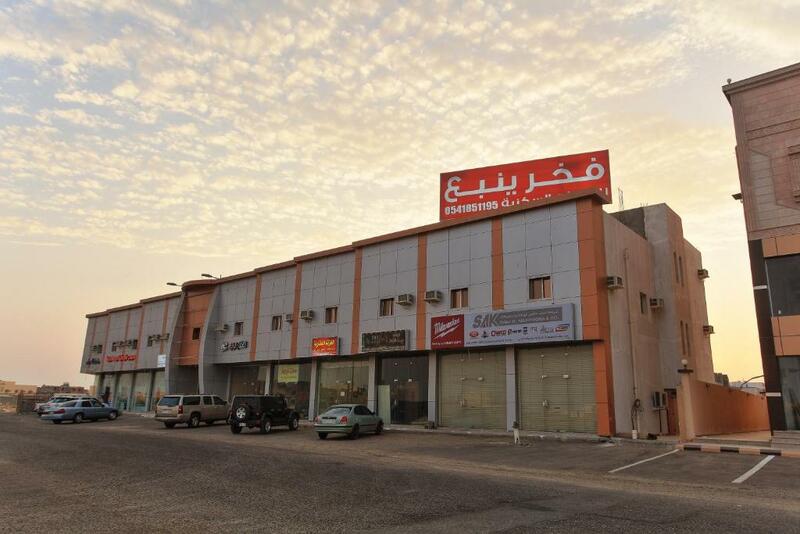 Guests can drive to Dana Mall and Yanbu Mall in 10 minutes. Prince Abdul Mohsin bin Abdulaziz Airport is 10 minutes away by car. 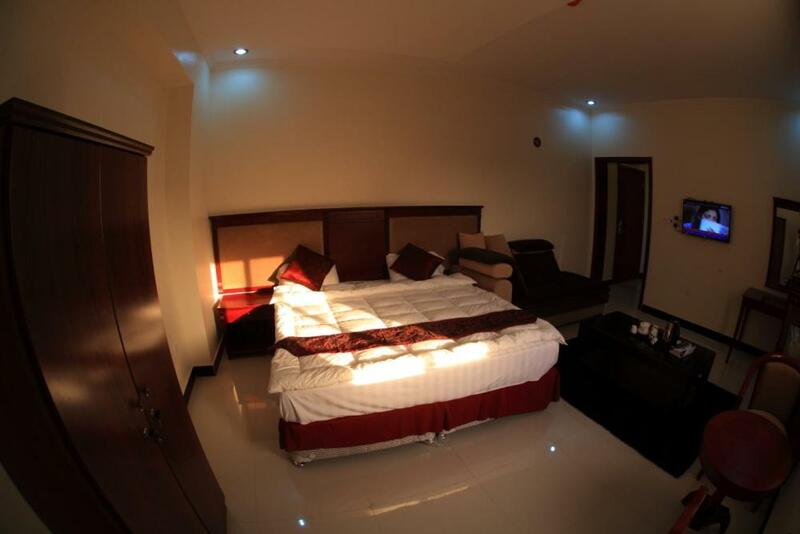 This property is also rated for the best value in Yanbu! Guests are getting more for their money when compared to other properties in this city. 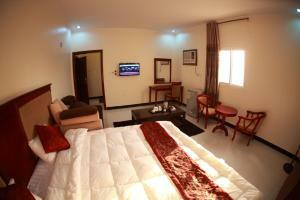 When would you like to stay at Fakher Yanbu Hotel? 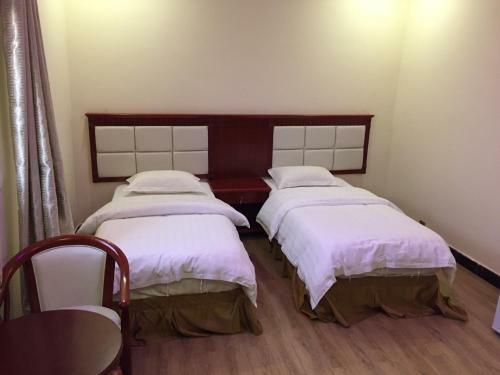 This air-conditioned studio offers a living room with a flat-screen satellite TV. A bath and shower are fitted in the private bathroom. 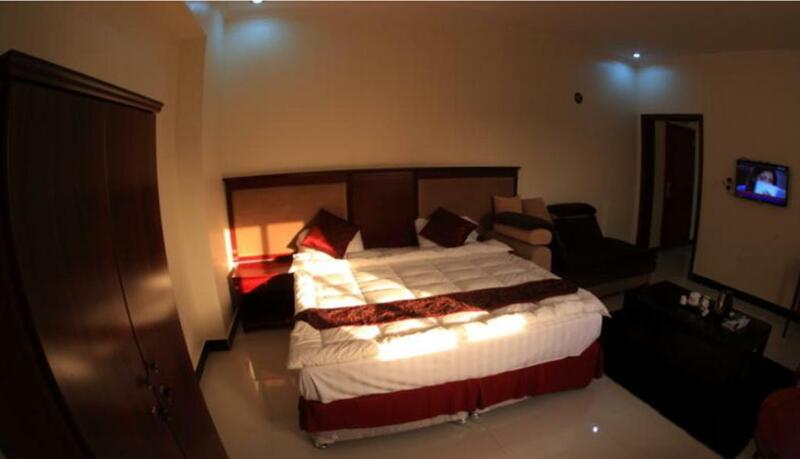 This air-conditioned apartment offers 1 bedroom and a living room with a flat-screen satellite TV. A bath and shower are fitted in the private bathroom. 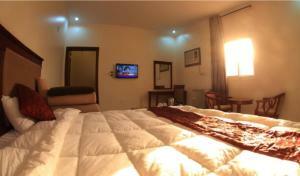 This air-conditioned apartment offers 2 bedrooms and a living room with a flat-screen satellite TV. A bath and shower are fitted in the private bathroom. House Rules Fakher Yanbu Hotel takes special requests – add in the next step! No microwave for reheating the food. All staff are good. The place is nice and clean. The reception guys (Saudi and Hindi) they don’t have any idea how is hospitality! And the Saudi guy annoying me all time. 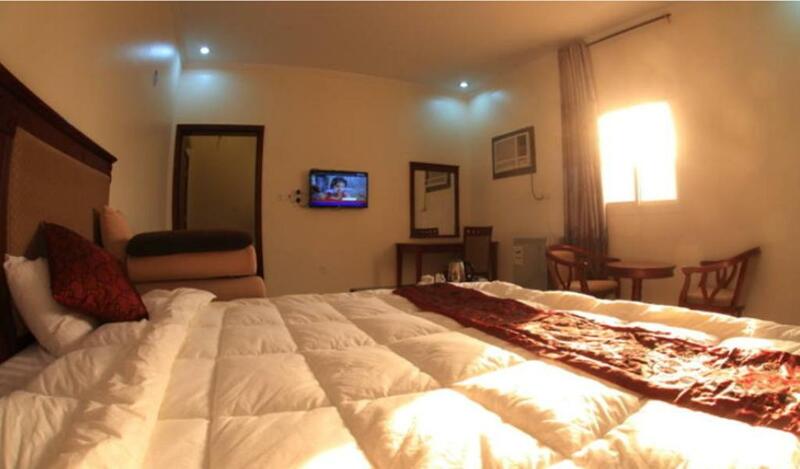 Very nice hotel for stay. 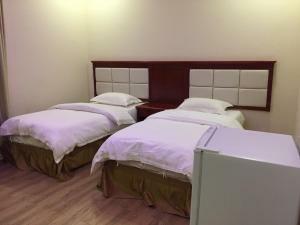 I stayed only 1 night, but was very comfortable. Very good location & access to all things you need. Hot water is rusty. The electric kettle is uber dirty. I asked for a replacement for the water kettle and was provided an ever more dirtier one. At that point, we just gave up. During check-in, we were forced to wait to 4pm. We arrived 2pm was told by the staff "Lah! 4pm! Lah 4pm! ".